Here is an amazing story of a blind believer who saw the “LIGHT” much clearer over many others during his lifetime. Though blind, he became one of the greatest teachers of our time and excelled over many others who were endowed with perfect sight. Luke Lee Sim Poi was blinded from the age of seven after he caught a case of smallpox. He took up his career as a rattan maker in the Northern town of Alor Setar, weaving baskets and earning a meager income. Walking all over the town with baskets that he had weaved, sometimes accompanied by his old mother, Luke became well known in Alor Star. He was also a professional masseur, who would massage people in their homes on a selective basis. Although blind, Luke never wanted to be pitied, or to depend on any kind of charity. He was a self-confident, dignified and highly independent person. 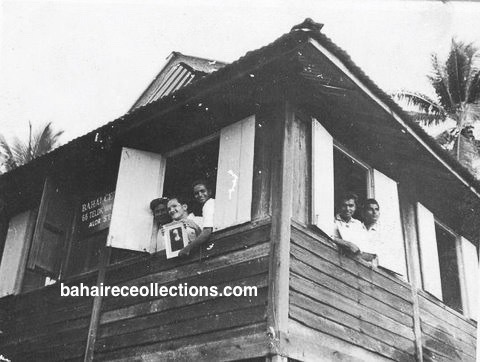 Luke went to see Mr. Appu Raman, a Welfare Officer, and a Bahá’í in Alor Setar in 1961, to request a prominent place on the main road where he could weave and display baskets for sale. Appu Raman immediately befriended Luke and took a great liking for this simple and yet imposing human being. Having made the arrangements of a place for Luke to weave his baskets, Appu Raman introduced him to Mrs. Theresa Chee, another key believer in the town. Theresa Chee also had a great liking for this lovable Luke and made him her family friend. She, her late husband Mr. Chee Ah Kin and Appu Raman made it a point to meet up with Luke for dinners at a place called Pekan China within the town of Alor Setar. Slowly the discussions centered around the Faith and Luke, who had a Christian background, was pleased with the teachings. At one of such dinner sessions, Chee Ah Kin asked Luke, “Luke, you already have heard so much about the Faith, and why haven’t you become a Bahá’í?”. Without any hesitation, Luke replied, “Can also.” Luke accepted the Faith in 1961, and that became a great turning point not only in his life but also in the history of the Bahá’í Faith in Malaysia. Luke thus belonged to the Ten-Year Crusade period and was the first blind person to have accepted the Faith in West Malaysia. Luke set to promote the Faith from the day he accepted it, a service that lasted till his passing in 1995. As soon as Luke accepted the Faith, Theresa Chee gave him some Bahá’í pamphlets to be given away to people he met. Luke started distributing the pamphlets to whoever came to purchase his baskets, or to whoever he conversed in Alor Setar. Apart from distributing pamphlets, he invited his contacts to come for firesides at the residence of Theresa Chee, with her husband providing transport in his car. There were many instances where the moment the Faith was mentioned to a stranger, the stranger would immediately mention the name of Luke. It was to that extent that he had carried out aggressive teaching work in the early days. 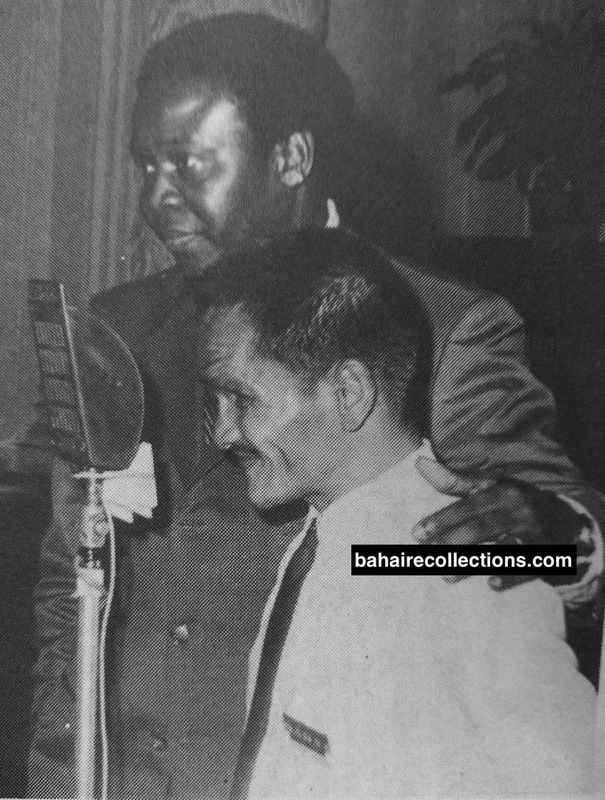 He paved the way for several others to accept the Faith, including Mr. Ganasa Murthi Ramasamy and Yin Hong Shuen. Luke was able to pick up knowledge of the Faith initially through the deepening classes and gatherings he attended. He was a fast learner. He absorbed details like a sponge absorbing water. He used to pay careful attention to talks and deepening classes, often raising his head and facing either to the left or right to make sure his ears were facing the direction from which the voice came. He became a much-deepened Bahá’í in no time. Luke was very well versed in Christian subjects and could quote the biblical verses to connect with the prophecies concerning the second coming of Christ. 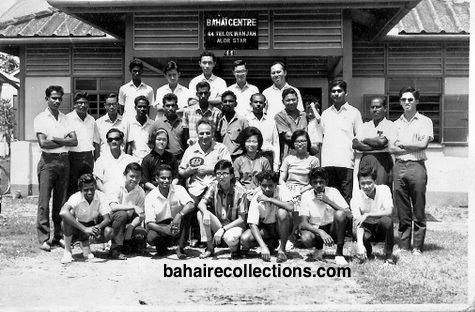 Visit by Hand of the Cause God Dr. Muhajir, seated in the center, to Alor Setar in 1966. Luke seated at the extreme left. Luke had earlier studied braille at the Saint Nicholas School for the Blind in the Northern island of Penang. Noticing the hunger Luke had for learning more about the Faith, a Bahá’í friend in Alor Setar wrote to the National Spiritual Assembly of the Bahá’ís of the United States of America to send Luke some books published in Braille characters. As soon as they arrived, Luke was over-excited and learned fast the various aspects of the Faith. He even subscribed to the braille version of the most popular magazine “Readers Digest” and took pleasure in reading them to his friends. Since Luke was a constant traveler to many parts of Malaysia, he kept the braille books in the house of a believer for safe storage. Unfortunately, the books were destroyed when part of that house was destroyed in a fire. Luke was sad, but by then he had already memorized so many prayers and Holy Writings. Though visually impaired, Luke was not left out of the mainstream of activities. He was very much part of the community. Right from the beginning, Luke became a regular attendee at Bahá’í gatherings held in the Bahá’í Centres, almost always arriving on time without anyone else guiding him on the way. Every believer in the community took so much liking for Luke that each and all invited him to their homes for meals and for meaningful conversations, as the very company of Luke enhanced their spirit. He always spoke with a broad, beautiful and warm smile. Luke himself was fond of visiting individuals in their homes – a kind of home visit that he had initiated in the 1960s. He soon became the darling of the Alor Setar community. For many, he became more than a family member, and no family function would take place without Luke attending. The Bahá’ís were amazed by his active participation in consultations and giving concrete suggestions, especially at the Nineteen Day Feasts. He was able to observe the Bahá’í fast throughout his life, starting the fast in his house, and joining the community in the evening for breaking the fast. Luke found so much meaning in life following his acceptance of the Faith. 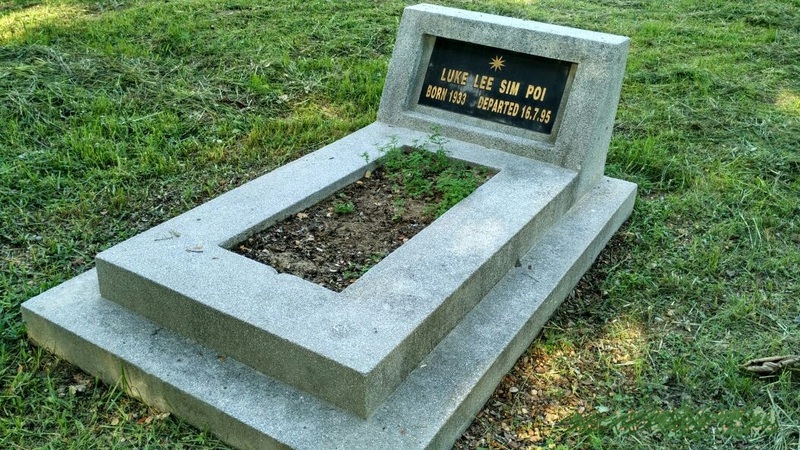 His old mother Madam Lee Siok Tin who stayed with her brother in Sungai Petani town some thirty miles south of Alor Setar town used to visit Luke from time to time. She saw such a dramatic change in him that she decided to come for the third National Convention held in Kuala Lumpur city in 1966. There she was very moved by the warm fellowship and love emanating from the believers. She was happy that her son had accepted a Faith that gave so much hope and joy to him. She accepted the Faith at the Convention at the age of 70. Hand of the Cause Mr. Collis Featherstone who graced the convention felt very moved to see a blind person who was so active, and his aged mother who accepted the Faith at that advanced age. Right from the early days, Bahá’ís were amazed at the extraordinary talents Luke demonstrated. One of his greatest strength was his total independence. Throughout his life, Luke earned a livelihood. In the late 1960s, he even took up typewriting classes in Alor Setar. He would read from the braille books and type on the normal typewriter, surprisingly, as fast as any other normal typist endowed with perfect eyesight. For some reason, he did not pursue this profession. He carried a very heavy haversack in which he kept a grinding stone with which he used to sharpen knives for his customers. In the 1980s, he distributed Aloe Vera products, and closer to the end of his days he was a distributor under the Rohini multilevel marketing scheme based in Sungai Petani town. Therefore, Luke was always independent in earning a livelihood for himself. He was equally independent in his vast and wide travels. From Alor Setar, he used to travel to several towns and communities to meet believers and stay with them. But it still remains a puzzle as to how Luke would arrive right at the doorstep of those believers. The hosts would shroud Luke with warmth and love, and provide the best hospitality, not necessarily out of sympathy for a blind man, but on account of the pure life, he led. He would partake of any food that was served and would lay his head on any bed that was prepared for him. He would accept any means of transport for teaching trips – carried on a bicycle, as a pillion rider on motorcycles, cars or even on public buses. He never stayed too long in any home and burdened them, and never asked for financial help when leaving. Luke had his brother in Alor Setar, his sister, and niece in Sitiawan town, a sister in Petaling Jaya town, and an uncle in Ipoh, who were all were financially stable. Yet Luke was more comfortable in staying with believers whenever he visited those towns. What amazed many believers was the ability of Luke to discuss current affairs. Luke conversed on the latest developments taking place in the world, of which an average person would not be aware. He kept abreast with world events through a small pocket radio that he kept with him. His habit was to get up at dawn and listen to the Voice of America, Voice of Australia and BBC. By early morning he was well informed of the latest happenings around the world. Luke had an elephant’s memory. Once one conversed with Luke, he would remember the person forever. And should the person speak to him months later he would immediately mention that person’s name with a burst of childlike laughter and relate where they had first met. For this reason, believers used to wait for Luke to arrive at national Bahá’í gatherings. There the believers would challenge him to recall them on the basis of their voice. Luke would mention their names from their voice or through touching their hands. Luke would touch some parts of a car and mention the make and the model. He used to identify an object with the mere touch of his hands. By listening to the sound of a motorcycle or car approaching him, he would guess the name of the person arriving by motorcycle or the car. When traveling in cars with Bahá’ís, Luke would even tell the direction to the Bahá’í drivers to reach a particular destination. Sometimes believers would walk Luke to his house after the functions were over at the Bahá’í Centre. A very close friend of Luke once walked him home while conversing with him, and deliberately passed Luke’s house by a few steps. Luke immediately placed his hands on the shoulder of the believer and reminded him that they had already passed his house by a few steps. Perhaps Luke could be the only blind person who would have gone for a movie in a theatre. His close friend Mr. Kaliappan from Alor Setar was preparing to go for an English movie, and Luke too expressed a desire to follow him. The puzzled Kaliappan took Luke for an English movie in the Cathay Theatre. At the theatre, they were the center of attraction. When they came out of the movie, Luke was able to give a summary of the movie – all by listening to the audio track. Luke’s special radio had the capability to receive the audio transmissions of local television programs in Malaysia. He used to listen to the audio reception of Chinese drama programs. Although blind Luke knew the day time and night seasons, days of the week and the exact time of the day – through the help of a special watch he had with him. Luke was a very warm, kind-hearted and generous believer. Some school-age believers in Alor Setar loved his company. As the students seldom had money to spend, Luke would invite them to open stalls for meals. Towards the end, one of the youths sitting on the table would feel a light tap. It would be Luke passing some currency notes to be given to the stall owner for the meals they consumed. Luke did not want the stall owner to get the wrong impression that the youth were getting a blind man to give them a treat. 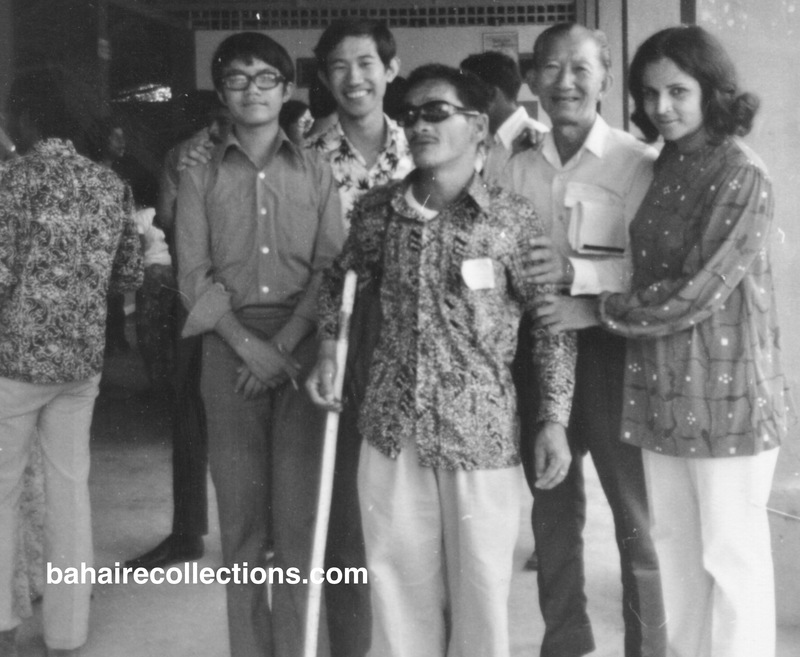 In March 1971, Miss Kamachee, a believer from Alor Setar town moved into Kuala Lumpur to help out in the administrative works at the National Bahá’í Centre. Luke presented Kamachee with a basket of flowers when he learned she was leaving Alor Setar for Kuala Lumpur. Kamachee to this day recalls with immense feelings the kind heart of Luke. Luke’s neighbors in Alor Setar town were mainly people of Malay ethnicity who knew him to be a Bahá’í. Luke used to return home each day carrying a big haversack, stuffed with food items and shirts, probably given by some of his friends. He would distribute them to the neighbors. It has to be mentioned that Luke had a large number of non-believers who loved him dearly. Luke seated third from the left, popular among the youths. Luke also traveled all alone from Alor Setar to several national gatherings held outstation. 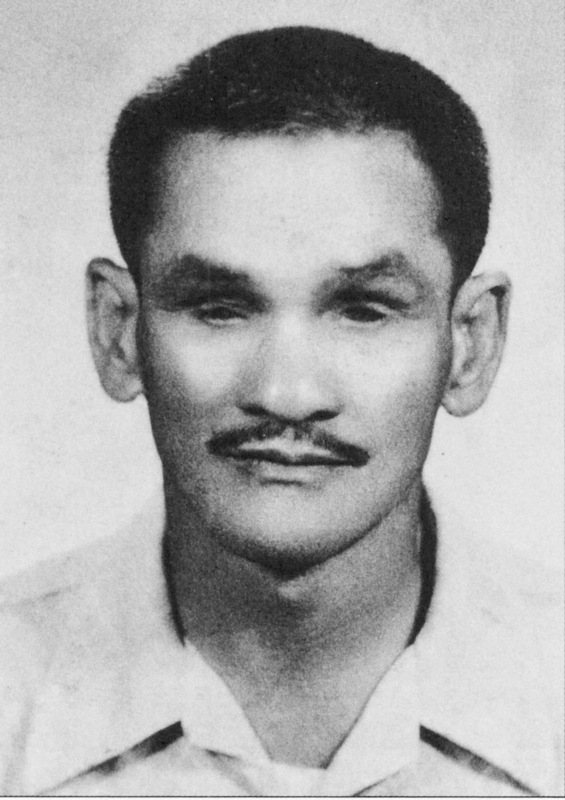 He attended the first National Convention in Kuala Lumpur in 1964. 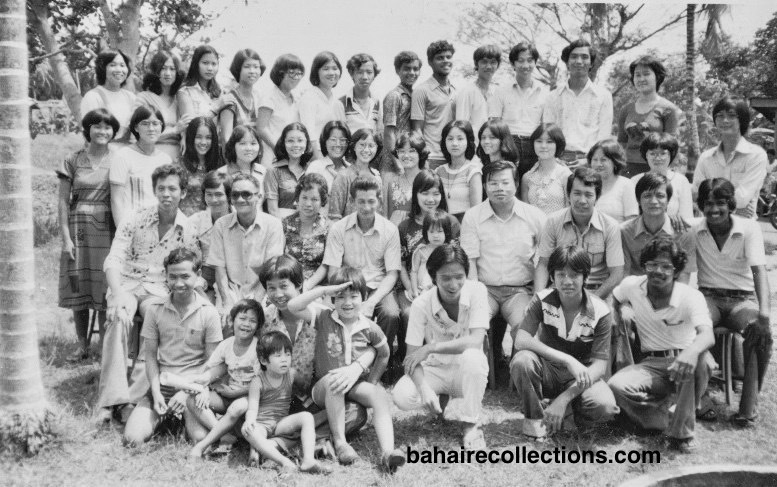 His favorite gathering was attending Summer Schools held in many parts of Malaysia starting from 1965. As there was no direct bus from Alor Setar, he had to change a couple of buses at many towns on the way, and yet arrive on the dot at the Summer School venue, much to the shock and surprise of the Bahá’ís. Luke attended more national Bahá’í gatherings than the average believer. He also took pleasure in attending gatherings held for the Chinese and Indians as well, as he was fond of spending his time in the company of believers. 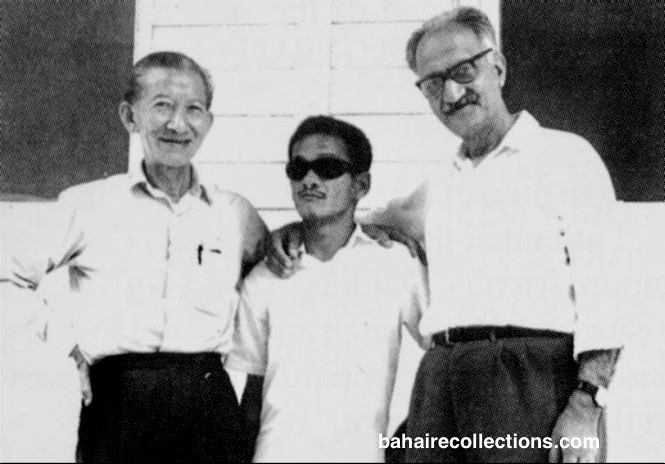 L-R: Malaysia’s first enlightened believer Yankee Leong, Luke and Professor Hassan Avaregan from Italy at the Summer School in Port Dickson in 1970. Luke at Summer School held in Penang in 1972. Auxiliary Board Member Betty at the extreme left, and Yankee Leong standing second from right. Yankee Leong’s grandson Benedict Chee stands next to him. He was an expert when walking alone in the busy streets of cities. He knew the nooks and alleys of several towns in Malaysia only too well. His only mishap was when he was attacked by some loafers in Taiping town on his way to the Bahá’í Center. He fell down and they searched his haversack and pocket and found nothing. When passersby rushed to his rescue, the youths fled. He arrived at the Taiping Bahá’í Center at noon with bruises on his body. When the believers arrived in the evening after work they saw his condition and took him to a nearby clinic for treatment. Whenever travelling to outstation, Luke used to wear long pants. But when coming for Bahá’í activities, he dressed up in neat white, without any stain or dirt on his shirt or pants, a model of modesty and cleanliness. We are all called to arise and serve. Luke took this guidance very seriously. He was one of the greatest teachers of our time. He had a passion and obsession for teaching the Cause. He believed in individual initiatives. It could be said that not a day went by without Luke mentioning the Faith to someone at his workplace. He would first teach on his own, and should they show interest he would bring them to Bahá’í Centers or Bahá’í homes for seekers to get more exposure to the Faith. His teaching method was very simple and he would speak in perfect English, Malay, and Chinese. Luke was also one of the first to have opened up some localities for the Faith. He would travel all alone by public buses and disembark at the entrance of rubber plantations, and walk miles on laterite roads to reach the living quarters of the laborers. There he would teach the Faith to the workers, establish contacts and make repeat visits until the contact person accepted the Faith. That was how Luke opened Changloon estate, with Chandrakasan now residing in the town of Klang accepting the Faith through him. Luke had taken upon himself some heavy responsibilities as well. 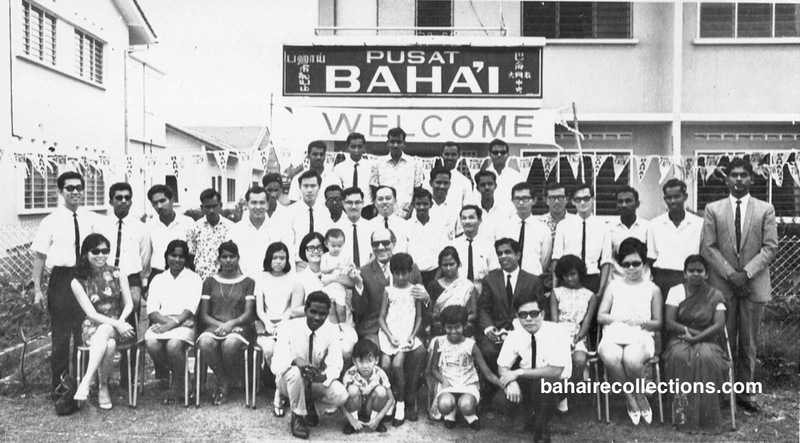 At the Perak State-Level Teaching Conference held in Sungai Siput town in July 1966, a call was made for volunteers to pledge to form new Local Spiritual Assemblies for Riḍván 1967. Luke pledged to form a Local Spiritual Assembly in Lumut town. The participants were very touched by the spirit and the courage of Luke. Luke did make several trips to Lumut when visiting his sister and niece in the nearby Sitiawan town. A Local Spiritual Assembly was formed much later. Luke had always desired to be a pioneer. He made a great impact for the Faith at the Oceanic Conference of the South China Seas in Singapore in January 1971. He teamed up with Mr. Ramasamy Sengalrayan of Alor Setar and hitch-hiked from Alor Setar all the way to Singapore, some 500 miles away, stopping over in the towns of Kuala Lumpur, Seremban, Malacca, Yong Peng, and Johore Baru. In all these towns, they distributed Bahá’í pamphlets as a pre-conference teaching plan devised by Hand of the Cause Dr. Muhajir. At the Conference, Luke became the center of attraction as the only blind believer. When the call for pioneering was made, more than sixty friends came forward to pioneer. Luke too came up the stage to offer to pioneer. Hand of the Cause of God Mr. Enoch Olinga who was the representative of the Supreme Body was so moved and embraced Luke with so much love. Hand of the Cause of God Mr. Collis Featherstone was also deeply moved. Luke was called to say a few words, and there were many believers who wept on witnessing his exemplary spirit. Mr. Enoch Olinga requests Lee to say a few words. He volunteered to pioneer to Sarawak where he wanted to make a living by weaving baskets. He was interviewed by reporters, and the Straits Times of Singapore carried an article about Luke with a photograph of him feeling the artwork at the Bahá’í exhibition with his hands. Some background details of him were also flashed in the paper. In this way, he brought so much publicity for the Faith at the Conference. However, the National Spiritual Assembly of the Bahá’ís of Malaysia did not approve his offer to pioneer for obvious reasons. That did not diminish his spirit. He persisted in offering to pioneer whenever there was a call at later large-scale gatherings. Luke being interviewed by a journalist at the Oceanic Conference. In 1979, Luke went to South Thailand for a few weeks to join a teaching team which opened up 11 villages and formed 8 Local Spiritual Assemblies to win the goals assigned to Thailand community under the 5 Year Plan. Luke teamed up with a homeopathic practitioner, T. Maniam of the town of Butterworth, with whom he had previously undertaken several teaching trips outstation. One of the teaching trips was to Kota Baru town on the East Coast of Malaysia for a week. Upon arrival in the town, Luke took out from his pocket to the surprise of Maniam, a paper consisting of a list of names of Chinese and Indians friends. Apparently, Luke had already made a trip there earlier and established contacts. With that list, Maniam and Luke managed to find a few Chinese and three Indians and taught the Faith. They stayed in a simple lodge, and later found Mr. Muthu, owner of a vendor’s stall, whose home was used as the Bahá’í Center of Kota Baru. He was also often seen in several teaching campaigns in many parts of the country, including a very remote town of Kuala Lipis in the interior state of Pahang, where not many would have ventured to teach. In the town of Taiping Luke joined Maniam and Mr. Vinayager, another local believer, in undertaking teaching trips to a small town called Lenggeng. These three friends moved so closely that a Chinese man observing them asked Maniam whether Luke was in any way closely related to him. Maniam replied they were closer than relatives. Wherever Luke appeared people would comment that any handicapped person would normally go around begging, but Luke went around talking about God. After each teaching trip, Luke memorized the houses he had visited. A friend Arputhaseelan lived in Taiping for some years. One day Luke arrived in Taiping and wanted Arputhaseelan to take him to visit a contact person in an interior village called “Simpang Holt.” Arputhaseelan had never heard of that village. Luke asked Arputhaseelan to take him on his motorcycle. As Arputhaseelan was riding the motorcycle, Luke guided him by patting on his shoulder and giving direction. Luke suddenly said, “Ok, we have arrived.” True enough, the contact person’s house was right where the motorbike halted. To this day Arputhaseelan is not able to bring himself to accept the magical intuition that Luke had with him. Luke used to come to Taiping quite often from where he would visit nearby rubber plantation quarters, accompanied by a local believer, Mr. R. Gopal, to teach the Faith to the workers. He would carry a large haversack containing food and clothes for the children of the poor laborers. The children would look forward to his visits, and the moment he arrived at the entrance of the plantation, they would rush to him and walk him to their quarters. After distributing what he had brought to the children he would start his teaching work. There was one widow with several children, to whom Luke would distribute more of the goodies he brought with him. Each time Luke went to the plantation quarters, she would prepare a special spicy meal for Luke. He would sit on the floor and eat the meals. He would return to Taiping town late in the night and stay in the Bahá’í Center or in the homes of the believers. Many believers from overseas who came to Malaysia for Bahá’í gatherings were also touched by Luke. One of them was Hand of the Cause of God Mr. Abu’l-Qásim Faizi who came to Alor Setar to officially open the newly acquired Bahá’í Center on Friday, 27 December 1968. As soon as the eyes of Mr. Faizi fell upon Luke, Mr. Faizi was so touched. He hugged Luke and said that Bahá’u’lláh had enabled him to see the “Light”. The official opening of the Alor Setar Bahá’í Center. Hand of the Cause Mr. A. Q. Faizi is seated in the center. Seated fourth from right is Counselor Dr. Chellie Sundram. Luke is standing at the back between Mr. Faizi and Dr. Sundram. Standing at the extreme right is S. Nagaratnam. Luke loved his mother beyond measure. She passed away in Sungai Petani town and was buried in a Christian cemetery in that town. Luke was immensely sad for many days and became very lonely. But each year he would arrive in Sungai Petani on her death anniversary to clean up her grave, offer flowers and say prayers. The local friends especially R. Gopal and Arputhaseelan who had no knowledge of the resting place of Luke’s mother used to take Luke to the entrance gate of the Christian cemetery. From the gate, it was Luke who would hold their hands and lead them through a winding path and passing several graves to the very grave where his mother was buried. Upon arriving at the right grave Luke would say, “This is my mother.” Luke would then touch the gravestone with a very sad face, after which he would pull out the grass and clean the burial place. He would then arrange the flowers he had brought along to adorn the grave. Following this, he would offer a lot of prayers from his memory for at least an hour. He always had a clean handkerchief with him to wipe his tears from time to time. But at the grave, he would wipe frequently. And surely Luke looked extremely sad. Arputhaseelan and R. Gopal were very moved to see this episode unfolding each year right in front of their eyes. They could not guess what was the agony was going on in the heart of Luke. Luke lived in a simple house situated on government land with a temporary occupation license in the Sungai Korok area of Alor Setar. It was a very tiny, old and dilapidated house, deplorable to the eyes. Mr. Teh Teik Hoe, a local believer with the Alor Setar municipality felt Luke deserved more decent accommodation. He got his contractor friend to refurbish the dilapidated house. He did so gladly. Once the work was completed, the contractor refused to take money for the work. The contractor had built two rooms. Luke used proudly to tell the Bahá’ís, “I now have two rooms in my house, one is for me, and the other is for clients who need a massage.” After the passing of Luke, his brother sold off that house. Luke was a sad person in the early days. It was the Faith that kept his spirit high and cheerful when life in the material world was so unkind to him. His only happiness was the Faith and the believers. From the moment he accepted the Faith he was always joyful and radiant, having found the real meaning in life. An Indian Bahá’í lady was overwhelmed by Luke’s spiritual qualities that she sent word that she wanted to marry him. Luke replied that he was already married to the Cause of Bahá’u’lláh, and that gave him ample happiness in life. During the evening of his life, Luke fell ill. He developed heart ailments. He visited his niece in Sitiawan for the last time. 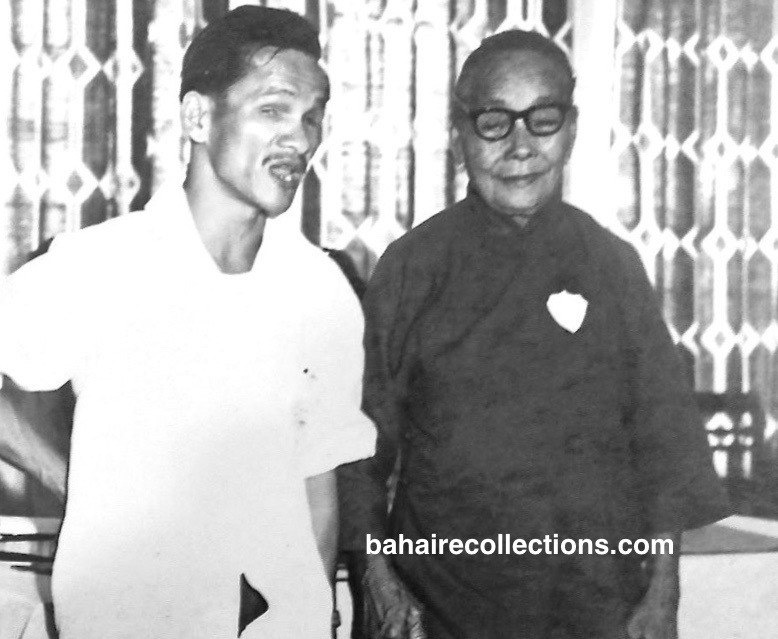 On his return journey from Sitiawan, he would always stay a few days in the home of Theresa Chee in Ipoh. But this time he rang up Theresa Chee to say he would not come over to stay with her, as his heart was weak, and that doctors had advised him not to travel much. He further said that his niece would send him to Alor Setar. Theresa Chee told him, “See you again.” Luke reached Alor Setar. One week before his passing, Cheng Jooi Sey, a member of the Local Spiritual Assembly of the Bahá’ís of Alor Setar saw Luke on the road. He was walking very slowly. He did not look well at all. When Cheng asked Luke what was wrong with him, Luke said, “The doctor said my heart is weak.” Cheng was very upset and bought Luke a big steamed bun from a nearby street vendor. Luke thanked Cheng and continued walking. Watching the ever-active Luke walking away so slowly, Cheng’s heart simply sank. Luke was independent and earned a livelihood till his last breath. 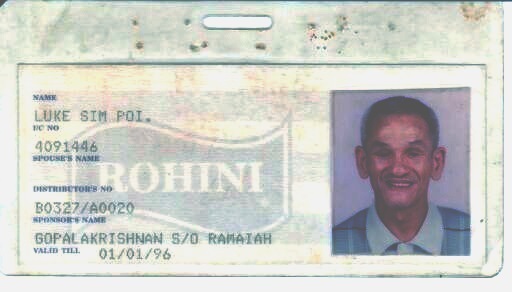 He expired even before the expiry date of his identity card with Rohini Multilevel Marketing Scheme in which he was a distributor. Unknown to anyone, Luke got himself admitted into the Alor Setar General Hospital for chest pain. On 16 July 1995, when some Bahá’ís were having a meeting in the Alor Setar Bahá’í Center, Luke’s close friend arrived from the hospital and informed them that Luke had passed away at the hospital. The Bahá’ís rushed to the mortuary to claim his body and Cheng who was at that time working in the same hospital as a Medical Assistant at the Accident and Emergency Department had requested the staff not to embalm his body. The Local Spiritual Assembly of the Bahá’í s of Alor Setar swung into action. The Bahá’ís somehow managed to contact Luke’s relatives living outstation. They arrived into Alor Setar town that very night and were accommodated in the Bahá’í Centre. The news was quickly passed around on the passing of this lovable believer. The following morning, when Luke’s body was brought to the Bahá’í Centre from the hospital, it was already in a beautiful casket. 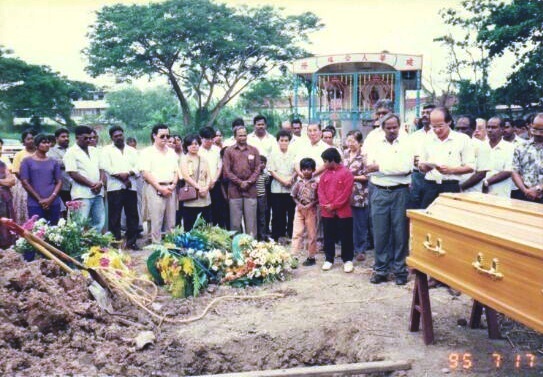 The Local Spiritual Assembly of the Bahá’í s of Alor Setar wondered who had arranged the casket. It happened that the staff of hospital working in the mortuary were sympathetic towards the blind Luke. They spoke to the sellers of the casket and got them to donate a free casket for Luke. Listening to the sympathetic story of Luke, they decided to donate a dignified casket for Luke. Even in death, Luke had won friends for himself and the Faith. 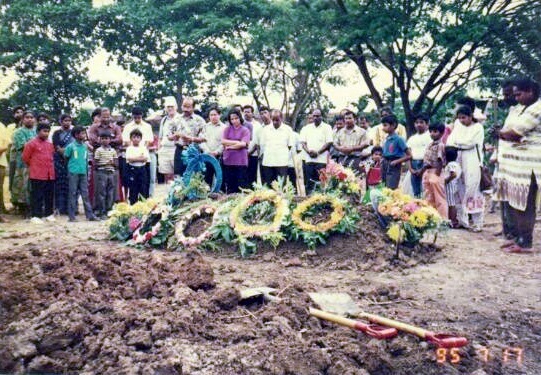 The casket containing the remains of this pure soul was kept in the Alor Setar Bahá’í Center. Mr. Phung Woon Khing reading a prayer during the funeral service at the Alor Setar Bahá’í Center. Many friends all over the country came to pay their last respects to Luke. Luke’s spiritual mother Mrs. Theresa Chee, and her son-in-law, Tan Boon Tin, rushed from Ipoh town. At the funeral service, a very moving eulogy was given by R. Ganasa Murthi who enrolled into the Faith through Luke’s guidance. The final send off. Above, Kanthakumar reads a prayer. Below, Tan Boon Tin reads a prayer. 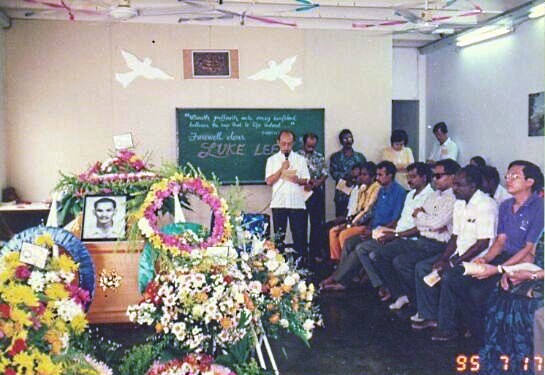 Earlier, at a state-level teaching conference held for the Tamil-speaking friends in Sungai Petani in 1971, Luke was present. When the time came to discuss the topic of living the life, Mr. S. Nagaratnam, member of the National Spiritual Assembly of the Bahá’í s of Malaysia then, invited Luke to the front. Mr. Nagaratnam remarked that Luke was one believer who was not only soft-spoken but had never engaged in backbiting or criticizing anyone. After saying further nice words about Luke, Mr. Nagaratnam remarked that Luke was the best Bahá’í he had seen in his lifetime. Everyone wondered how a blind person with very little means could emerge as one of the greatest teachers of their time and remain firm and steadfast in the Faith till the last days of his life. There would never be another Luke in the annals of the Faith in Malaysia. He lived a true Bahá’í life to the best of his ability and with the Grace of God. Luke remained so devoted to the Faith till his passing. His life had a simple message–a physical handicap is never a hindrance to serving the Cause effectively. He had proven that he was able to serve the Faith well and better than some who were endowed with sight. He was one of those who was loved by all people – Bahá’ís and non-Bahá’ís who crossed his life. Luke’s life had been meaningful and exemplary in many ways for the current generation and generations yet to be born to emulate. It is with irrepressible gratitude that we thank the Blessed Beauty Bahá’u’lláh for sending Luke into our midst. Well written Manisegaran. The contents reflect exactly what Luke is….a great teacher of the Cause…an inspiration to all those who are teaching the Cause…an example of a humble and sincere soul…truly independent and did not depend on charity and pity. I had the bounty of travel-teaching with “uncle Luke” in the villages of Thailand. He was the guiding light of our teaching team and the source of attraction of souls and blessings from the Concourse on High. He was our time keeper too. May my prayers for his blessed soul attracts prayers from his Heavenly abode for this lowly handmaiden. I seem to hear his loving voice calling often one of our team mates. Recollecting, after reading your story about Luke; whom I remember as the most wonderful and precious soul; though blinded at an early age; whom I had the precious opportunity to meet; and who inspite of his handicap saved the souls of so many during his lifetime, since Luke believed that the most precious duty of any human being must be to give life to all souls through the Word of God for this Age; one lives in! God’s Teaching for this Age, which can be compared to the light of the physical sun affecting the body, is sunlight from the Spiritual Sun of this Age; Baha’u’llah, and I remember Luke explaining why every living human being in this Age must expose their spiritual soul to the Word of God revealed by God through His latest Manifestation; Baha’u’llah, the Promised One of all Ages! Let us all remember Luke in our daily prayers; praying to God that his soul living in joy in God’s Paradise, continues to serve mankind from where he is! I have read this chronicle on Luke Lee. A very interesting and inspirational write up. Very well written indeed. Another master piece by our great writer, Manisegran. Congratulations for job well done. Hope you will continue writing on the lives and Bahai services of other great people. I always look forward to reading your write up. Thank you so much for sharing your chronicles with us. Most appreciated, dear Mani. Don’t stop writing! I am thankful to Manisegaran for having put on record the life account of Luke Lee. Me and all my family owe an eternal gratitude to Luke Lee for having led us to see the light of Baha’u’llah. Uncle Luke, as he was fondly called by us, was a gentle soul who was a friend to all and ever willing to be of help to others. He was an icon in our hometown of Alor Star with his dark glasses, walking stick and his knapsack on his back. In his knapsack he had his transistor radio and a few other ‘tricks’ in it. I remember clearly once I had been accidently ‘stung’ by a cat fish while playing in mud drains behind my house and the pain was unbearable. My mother tried all kinds of home remedies but to no avail. Later in the afternoon, when Luke made his home visit and saw me in pain , he quickly opened his knapsack, took out a small bottle of black ointment and applied it on my big toe where the pain was. And it was alomst an immediate relief! He had so many friends in town from all racial and social backgrounds. In the mid 1960s, having introduced the Faith to us, he made regular home visits to my family and in his own ways nurtured us in the Faith. There have been countless occasions when I had the opportunity to accompany him on teaching trips, conferences and summer schools. Luke indeed had extra sensory powers and he would always outsmart us each time we tried to play tricks on him. He knew almost every nook and corner of the town, telling us how to reach a certain shop or place. He also used to travel solo, taking public transport, visiting his friends in different parts of the country. And every where he went he gave the Faith to whoever befriended him. In the 1970s, when my family was living on the top floor of the Alor Star Bahai Centre, Luke was almost like another family member to us as he would come and spend the afternoons daily in the Centre to read his braille Readers Digest and the Bahai prayers and after which he would spend time with us and join our meals. He took an active part in all Bahai activities and if I am not mistaken he did serve for a while in the Local Spiritual Assembly of Alor Star. His sudden demise in 1995 was such a shock to all of us. It was my good fortune that I was able to accompany him in his last journey. He is now laid to rest at the Alor Star Bahai cemetry and it is my family tradition that when members of my family return to our hometown, we visit Uncle Luke’s grave and pay our respect and gratitude to this wonderful soul. Thank you for yet one more great recollections. Luke led me to see! Luke was to me a case of the Blind leading the seeing, as he was instrumental in I believe 1961 or 1962 inviting me to a fireside at Aunty Theresa’s home. I thought it was a camp fire! Luke’s friendly, independent, tactful manner is something which always impressed me. Watching him eat was a treat, unlike most people who eat with their food all over the table. Luke could clear his plate so well despite being visually impaired. He was very tidy in his dressing, impeccable in his short sleeve shirt and pants. He weaved baskets and repaired cane furnitures for a living. He read his Readers Digest and Bahá’i Books in Braille. Luke engaged people well, without any trace of egotism. He was always careful with his words so as not to hurt any soul. Despite pressures from his previous religious background, he was steadfast till the end. What an exemplary Bahá’i ! A beautiful and inspiring story of his life. I know him personally as I grew up in Alor Setar but truly your story made me know this late uncle better…You have captured all the details and tears rolling down my cheeks as I read….a remarkable life indeed he lived full of service. Today, I had the pleasure of reading the fascinating story of loveable uncle Luke “the blind believer who had seen the ‘Light'”. Thank you immensely for your wonderful recollections on this first blind believer with an everlasting spiritual sight! I have come to known uncle Luke in the late 80s through uncle Arputhaseelan in Sungai Petani through his frequent visit there. He was really warm and friendly the first time we met. As you had rightly pointed out, uncle Luke had an elephant’s memory–and I was really astonished that he remembered my name the second time we met. He also had knowledge of herbal medicine and would recommend us to consume certain Indian spices frequently. His massage skill is equally amazing too. With a single touch, he could tell what’s wrong with one’s body or what’s lacking in the body! I really admire his knowledge and deep love for the Blessed Beauty — and I have never seen him sitting idly. At times he’s glued to his little radio listening to the news, massaging someone or talking about the Faith. Uncle Luke was also seen as a silent teacher. One day, I was at uncle Arputhaseelan’s place, not knowing that uncle Luke was there, reciting his prayers in one of the room. As I was quite loud talking to his children, uncle Arputhaseelan rushed in to remind us of uncle Luke’s present and that he is reciting his prayers in the adjacent room. Following that, the entire house turned to be so quiet and peaceful and we too started saying our own prayers in our hearts until uncle Luke appeared from his room with his usual warm smile. I must confess that uncle Luke had touched my heart in so many wonderful ways. His dedication, his simplicity, his personal hygiene and organization, his love for the Faith and his maturity in tackling questions were truly amazing. I had the bounty of listening to his discussion with uncle Arputhaseelan on the Faith on several occasions. During the time of his passing, I was in Cambodia in my pioneering field. In a way, I am happy that our beloved uncle Luke has found his eternal light in the Abhá Kingdom and in the presence of the Blessed Beauty. He is always remembered in our prayers.